Fluvial channel and channel belt deposits are commonly represented in subsurface reservoir models using an object-based approach that stochastically places a channel facies in a background of overbank deposits. The internal heterogeneity within the channel is usually represented by adding intra-body trends to the petrophysics. The aim of this study has been to study high-quality outcrop analogs, to collect data, and to build small-scale, geocellular models that capture the macro-form scale detail of the intra-channel architecture. 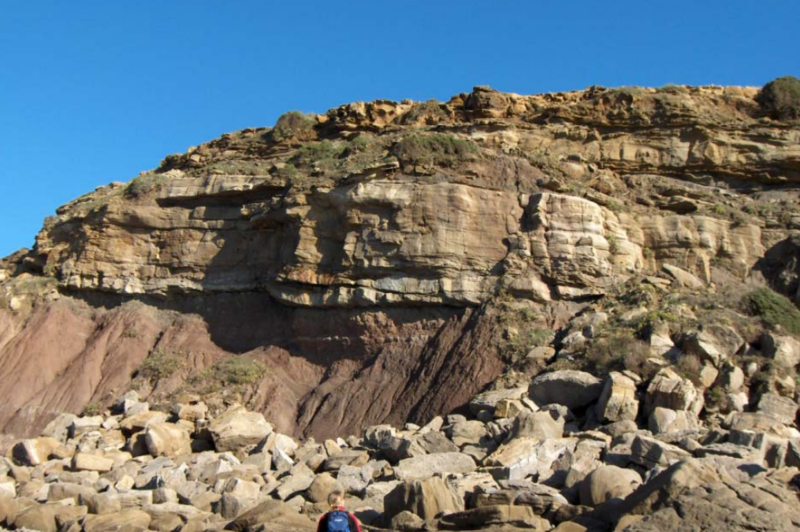 The Jurassic Lourinha Formation crops out in high-quality coastal outcrops in the Lusitanian Basin of Portugal. The studied interval is a mixed net:gross fluvial succession that is considered to be an analog for the Triassic and Lower Jurassic, Statfjord and Lunde reservoirs of the North Sea. Five separate, well exposed channel bodies were selected for study covering a range of stratigraphic settings and fluvial styles. Detailed, logging, photomontaging and bedform architecture studies were supplemented by laser scanning and the building of virtual outcrops. Bar and macro-form bounding surfaces were recorded and reconstructed using the outcrop data and a conceptual understanding of bedform architecture. The reconstructed bedform bounding surfaces and logs were imported into a geocellular modeling package and models capturing the geometry of the surfaces and the detail of the facies between them were built. Each model is at a comparable scale to a single grid cell in a typical simulation model (c.100 x 100 x 5 m) and can be used to investigate the dynamic influence of the main intra-body heterogeneities through upscaling and reservoir flow-simulation studies. Models have also been built using a process-oriented stratigraphic modeling tool to compare and contrast results. Anneli Ekeland, Nina Pedersen, John Howell, Ingunn Viste, CIPR, University of Bergen; Wojtek Nemec, University of Bergen; Kevin Keogh, Statoil. Presented at the AAPG Annual Convention, San Antonio, TX, April 20-23, 2008.